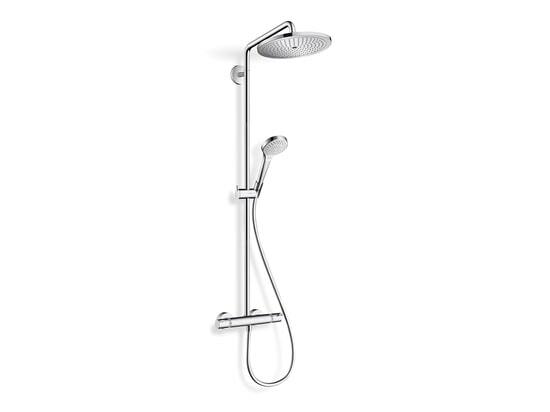 The Croma Select 280 Air 1jet Showerpipe combines overhead shower, mixer and a Croma Select hand shower into one harmoniously designed unit. A lavish spray, recreating the feel of a soft rain shower, flows out of the generous 280 mm showerhead. Its metal spray disc can be removed for comfortable and easy cleaning. 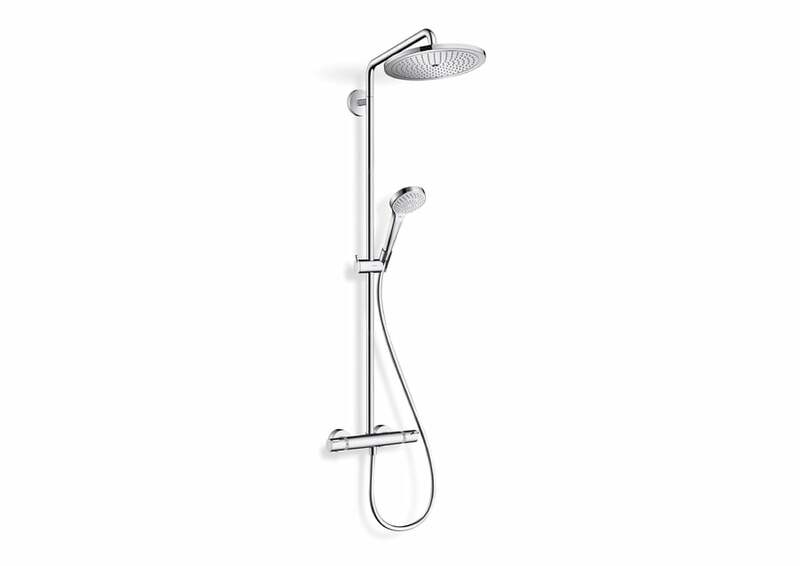 The complementary hand shower features three different spray functions. Without the need for a complex installation, the Showerpipe flexibly integrates into any bathroom ambience.